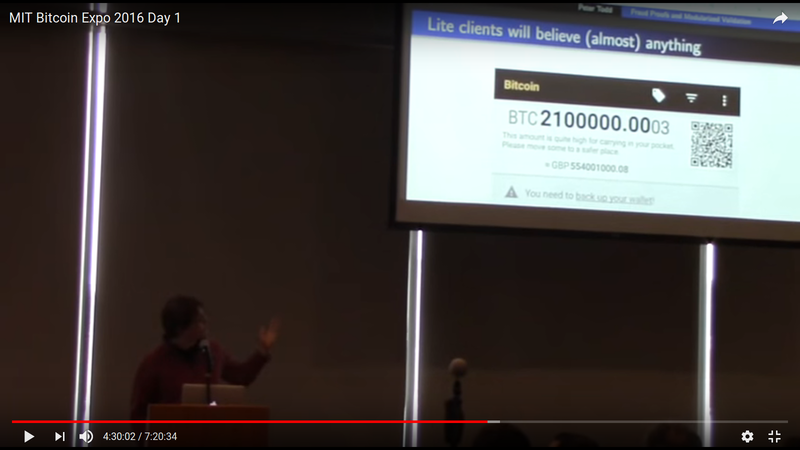 Peter Todd talk at MIT expo 2016 showing a lightweight client happily displaying a fake transaction. If the attacker had some hash power then this transaction could be made to look like it had confirmations too. This page was last edited on 16 March 2018, at 14:59.